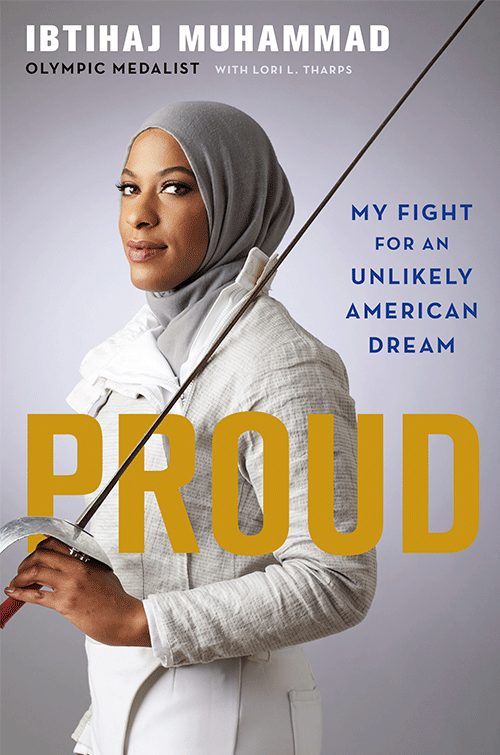 Ibtihaj Muhammad is a fencer, the first Muslim-American woman in hijab to compete for the United States in the Olympic Games and the first female Muslim-American to medal at the Olympic Games, winning bronze in the women’s sabre team event. Named one of Time magazine’s 100 Most Influential People in the World, she serves as a sports ambassador for the U.S. State Department, co-founded Athletes for Impact and the clothing company Louella, and inspired the first hijabi Barbie in her likeness. She grew up in Maplewood, New Jersey. 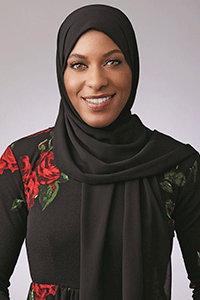 Growing up in New Jersey as the only African-American Muslim in hijab in town, at school and on the playing fields, Ibtihaj Muhammad always had to find her own way. When she discovered fencing, a sport traditionally reserved for the wealthy and white, once again she had to defy expectations and make a place for herself in a sport she grew to love. At 13 years old, her talent was undeniable. From winning state championships with her high school team to three-time All-America selections at Duke University, Ibtihaj was poised for success. However, as the only woman of color and the only religious minority on the U.S. women’s saber team, Ibtihaj had to push past stereotypes, misconceptions, and negativity to find her own path to success and Olympic glory. Proud is the inspiring story of how Ibtihaj rose above it all with grace and compassion. A coming-of-age story, a hero’s journey, and a moving memoir from one of the nation’s most influential athletes.